We are pleased to announce that TOWN's planned scheme for 42 homes in Cambridge - K1 Cohousing - has won the 2015 Cambridge Property Award in the environmental category. 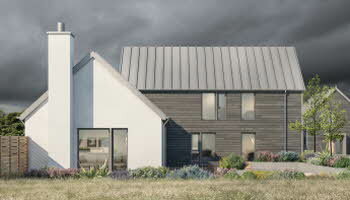 The scheme has been designed using Trivselhus Climate ShieldTM and passive thermal design principles. 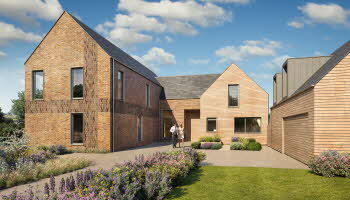 The homes will be highly energy efficient, with warm living environments and very low energy bills. 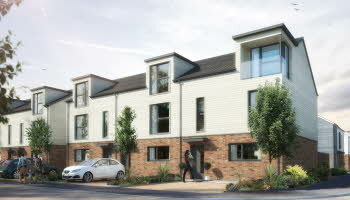 At the same time they will be spacious and light, with tall ceilings and generously sized, triple-glazed windows. TOWN's Johnny Anstead and a representative of Mole Architects received the award with members of the K1 Cohousing project at a presentation ceremony at the home of the award's sponsor, the Cambridge Evening News. The prize comes at an important time for the project, shortly after the submission of a detailed planning application and with delivery scheduled to begin in early 2016.